These treasures are small in size but big in delight! 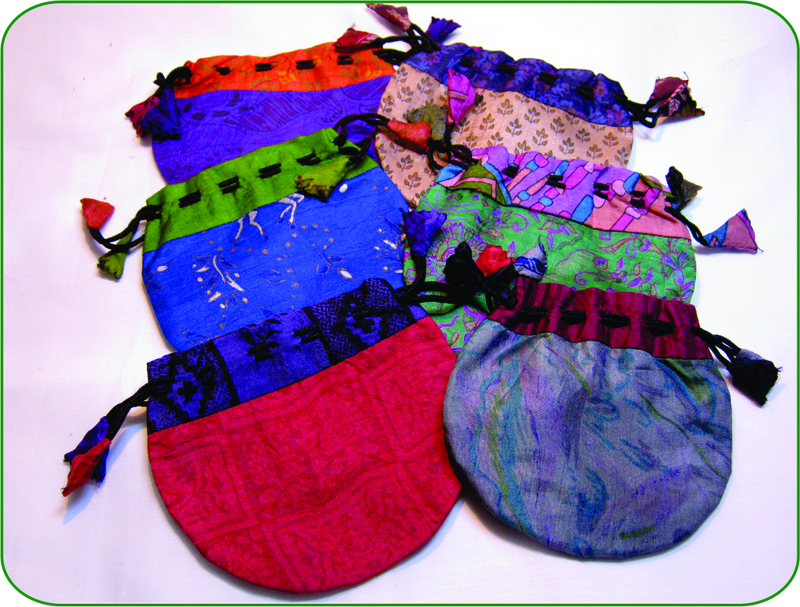 These 100% silk pouches are made with upcycled silk sari's. They are fairly traded. An assortment of colours is available. Please specify your colour choice in the paypal comments box when placing your order. 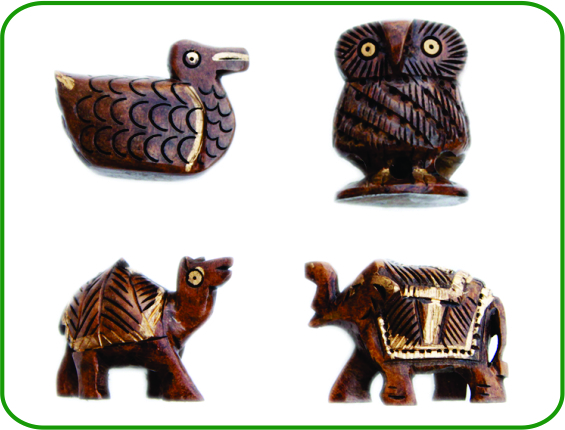 Hand carved wooden animals that are incense holders. Hold 2 sticks of incense. Please specify which animal you would like in PayPal comments. Most are 2.5cm in height. 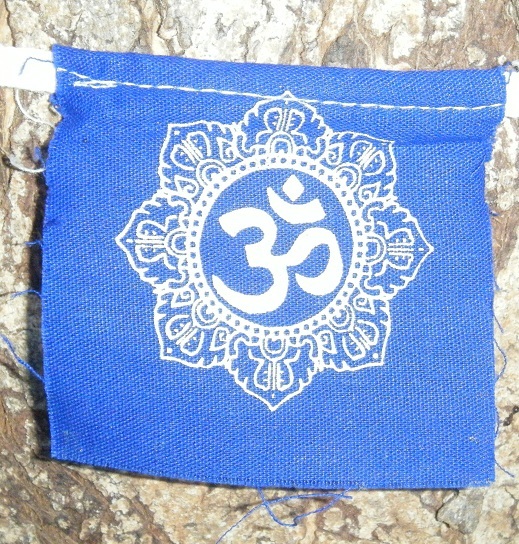 Om symbol screen-printed on brightly coloured fabric. 10 flags.